Physicians at the University of New Mexico Health Sciences Center are partnering with the New Mexico Office of African American Affairs to begin a new initiative designed to give pregnant women more control of their prenatal care. The clinic, located at 3401 Fourth Street NW, is one of the UNM Health System’s biggest, featuring 22 exam rooms, a radiology suite, pharmacy and laboratory and large community meeting room. 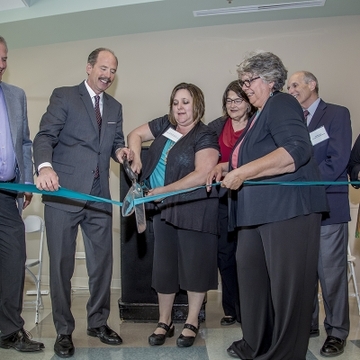 The UNM Health Sciences Center and UNM Hospitals forged valuable partnerships with the community while planning for and building the clinic. Now those partnerships are poised to grow. 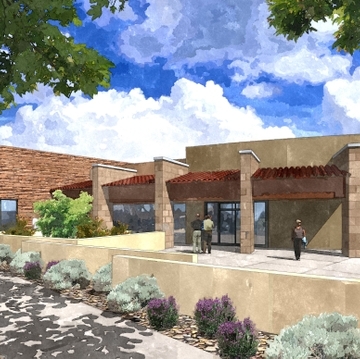 UNM Hospitals has broken ground on a new outpatient clinic that will help meet growing demand for medical services in Albuquerque’s North Valley.